Experts who study long-term trends of religious intolerance and violence disagree, however, on whether things are getting worse, better or generally have remained level. Even so, religious leaders say the attacks have come at a fragile time. Religious institutions are losing power, and anger, tribalism and controversy boil away online every minute of the day. It’s hard to gauge or stop tensions from ballooning, they say, and the Sri Lanka attacks are a reminder of the risks. Sri Lankan officials — with help from the FBI — Monday said the attacks were carried out by the National Thowheed Jamaath, a local Islamist militant group, with suspected international assistance. “Here’s a nation that has pluralism and yet still had religious terrorism. It reminds you there isn’t one solution, no one safe place. It’s surprising,” said Ed Stetzer, who holds the Billy Graham Distinguished Chair for Church, Mission and Evangelism at Wheaton College and has trained evangelists across the world. The attacks in Sri Lanka come as other incidents are fresh in memory. Those include the killings of 50 people at a New Zealand mosque last month, the October 2018 killing of 11 people at the Tree of Life synagogue in Pittsburgh and the deaths of at least 45 people during twin Palm Sunday bombings in Egypt in April 2017. In the United States, churches and mosques have begun adding security infrastructure to their places of worship. At the same time, there are high-level interfaith and pluralism efforts going on between Christian and Muslim leaders and groups that didn’t exist a generation ago. Those include the creation of international religious freedom ambassadors in several Western countries, said Rabbi David Saperstein, who held that position under President Barack Obama. They also include the Marrakesh Declaration, a January 2016 statement by hundreds of Muslim religious leaders worldwide committing to the rights of religious minorities in predominantly Muslim countries. The Southern Baptist Convention, the biggest Protestant U.S. denomination, has filed court briefs in support of religious freedom for Muslims. This is the kind of ignorance of a man in prison who hears rumors of outside events and attempts to give shape to what he hears, with the help of his preconceived ideas. Western writers before 1100 were in this situation with regard to Islam. They knew virtually nothing about Islam as a religion. For them, Islam was only one of a large number of enemies threatening Christendom from every direction, and they had no interest in distinguishing the primitive idolatries of Northmen, Slaves, and Magyars from the monotheism of Islam, or the Manichaean heresy from that of Mahomet. This remained the situation through much of the early part of the Middle Ages which gave Western Christians a creative license to indulge their fantasies about a religion and culture about which they knew next to nothing. This was not the case in the East where Christians experienced Islam not only as the faith of an invading army, but within a relatively short span of time the dominant faith of an Empire that would subvert the Christendom paradigm and relegate its Christian residents to dhimmi status. A Christian woman has donated £1000 to a Muslim family in the UK after learning that their shop was attacked. Mohammed Riaz, 58, was attacked in Bradford in July 2016 by three people inside his butcher’s shop, Meat Hut. The three attackers – one of whom was later charged with robbery – damaged Riaz’s shop and left him with injuries on the eve of Eid celebrations.Following the attack however, one woman named ‘Jane’ posted a letter to the family enclosed with a cheque for £1,000. In the letter the woman said: “Dear Mr Riaz, I was so sorry to read in The Telegraph & Argus of the attack on your shop. I am a Christian, and Jesus Christ taught that when we see someone in trouble we should not walk by without helping. While not a news item, this article from Oxford online gives the kind of background needed to help sort out the complexities of current events in the Muslim majority world related to Christianity/Muslim relations. “At the beginning of the twenty-first century, the perception of Islam by Christians and non-Christians alike has been profoundly influenced by a number of terrorist events that have marked the beginning of the new millennium. There were, within a few years of each other, the attack on the New York World Trade Center and the Pentagon on September 11, 2001, and the attacks on public transportation in Madrid and London. 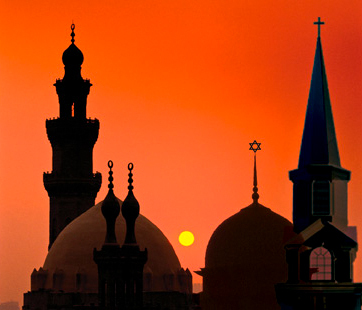 It is necessary, however, to place modern Christian-Muslim relations in their historical and cultural context. The history of Christian-Muslim relations begins with the biography of the prophet Muḥammad in the sixth and seventh centuries C.E. Muḥammad met Christians and Jews on various occasions. Ibn Isḥāq reports that a Christian uncle of Muḥammad’s first wife identified Muḥammad’s experience in the cave of Ḥirāʿ as divine revelation. On the other hand, Muḥammad later disputed with a Christian delegation from Najrān about the doctrine of the Incarnation, though this same delegation had been invited to pray in the Prophet’s mosque. This ambivalence is reflected in the Qurʿān and the ḥadīth (traditions). The Qurʿān tells Muslims that they will find Christians “nearest to them in love” (5:85) but warns them (5:54) not to take Christians or Jews as “close friends” or “protectors” (awlīyāʿ). Sometimes the positive and sometimes the negative aspect has received greater emphasis in the history of Muslim relations with Christians. The earliest Christian reaction to Islam, dating from the struggle between Muslim and Byzantine armies for control of Egypt and Syria, shows ambivalence of a different kind. Byzantine polemicists saw Islam as a “Satanic plot” to destroy Christian faith (Gaudeul, vol. 1, p. 65), and non-Chalcedonian Christians often saw Islam as “the rod of God’s anger” intended “to deliver us from the Byzantines” (Sahas, p. 23). 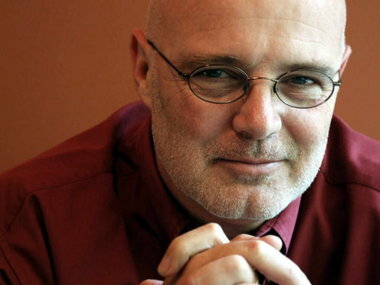 BIRMINGHAM, Alabama -Brian McLaren, the minister known as a major spokesman of the Emerging Church movement for more than two decades, has attacked a Christian news outlet’s publication of an anti-Muslim diatribe. McLaren said the Cass article, which spoke fondly of Christian crusaders who killed Muslims, sums up what’s gone wrong with modern evangelical Christians in their approach to other faiths. The Christian message should be one of peace, not violent retaliation, something Jesus preached against and his followers were slow to absorb, McLaren said. Discovering the places where Christians and Muslims live as neighbors — from ancient times until today. A few months back, I opened the door of my new apartment in Amman, Jordan to find my new landlady, a mother of four and a grandmother of one, holding a plate of sliced watermelon. “Here,” she said, her headscarf pinned below her chin. “It’s hard for you to buy and carry a whole one yourself, so I cut it up for you.” Later that week, her son knocked on my door, offering a bag of purple grapes he’d picked off the family tree outside. My blonde hair and American heritage gave away my Christian identity, a fact that bore no special bearing on their generosity. These gifts of fruit were simple but profound signs of welcome from my Muslim neighbors. That same week in September, just 135 miles north of my new home, local Christians in Maaloula, Syria opened their doors to find hostility from some of their Muslim neighbors. Members of the rebel and extremist al-Nusra Front murdered at least 10 Christians, and the rest of the population fled this historically Christian town as a fierce battle between Syrian loyalist and rebel forces raged. Reading daily about Muslim-Christian relations in the Middle East while living here on a year-long research grant, I’ve been struck by the contrast between the hospitality I have received and the hostility faced by other Christians in the Middle East. My experiences of Muslims’ generosity doesn’t align with images of violence in the news. Christians and Muslims coexist quite peacefully in Jordan, but in some surrounding states the persecution of Christians is a harsh reality. Muslim and Christian accord in the wings? The outgoing head of the Organization of Islamic Co-operation (OIC) says some Muslim states should broaden rights for religious minorities. Ekmeleddin Ihsanoglu, who stepped down on Monday after nine years as secretary general of the 57-country group representing the Islamic world, also said Western countries should do more to combat an increase of prejudice against Muslims there. Concern among churches worldwide for fellow Christians in the Middle East has risen in recent years as wars and Islamist rebels have killed or driven many from their homes there. The Jeddah-based OIC’s religious diplomacy was long focused on a fruitless effort to have the United Nations pass a global ban on insults to Islam. The fate of Christian minorities in Muslim countries rarely figured in its declarations. “I have no doubt that there is room for religious freedom improvements in some parts of the Muslim world with regard to allowing non-Muslims to have access to their religious facilities or construction of such facilities,” Ihsanoglu wrote in response to questions by e-mail from Reuters. Christians in the Middle East frequently complain of restrictions or bans on churches there and their leaders, alarmed by the rise of hardline Islamists in the wake of Arab Spring uprisings, have tried to emphasize their long histories in the region and have urged their communities not to leave.